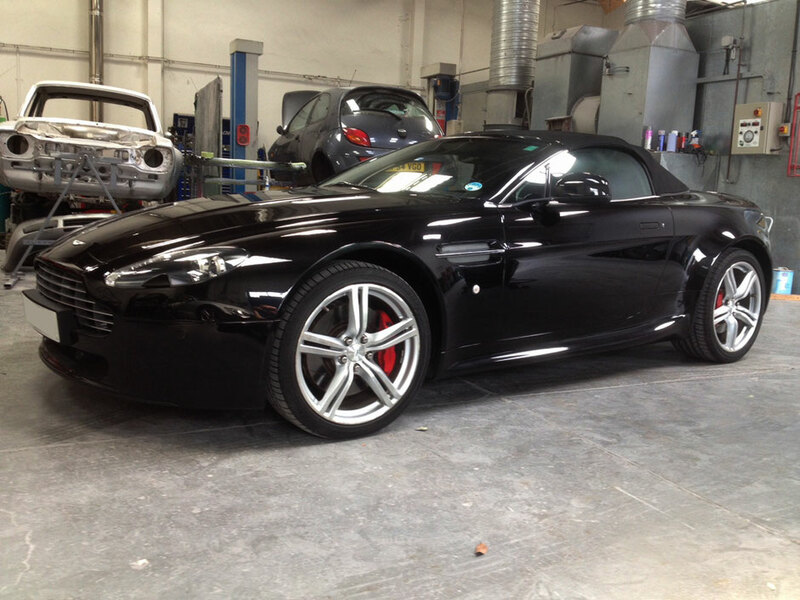 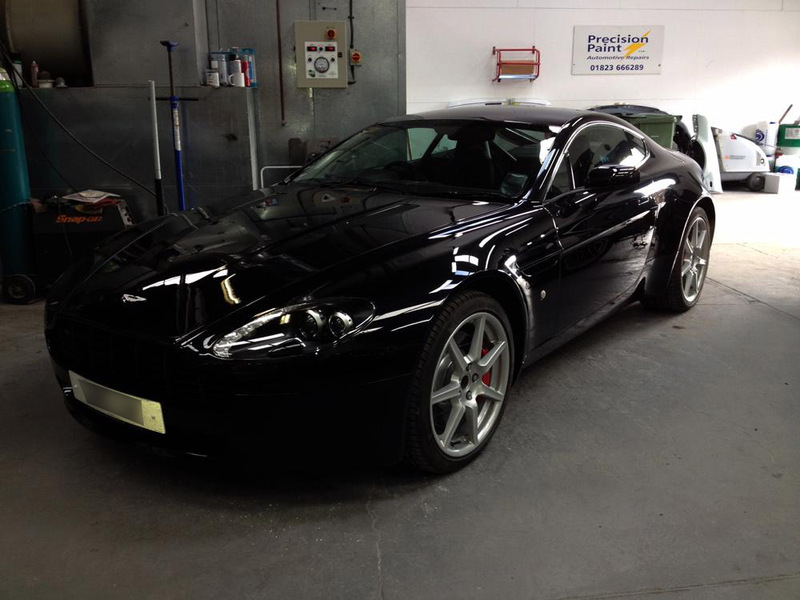 Repairing stone chip marks on paintwork and other general wear and tear needs to be 100% flawless and invisible. Here's a recent job completed by the Precision Paint team in early 2019. 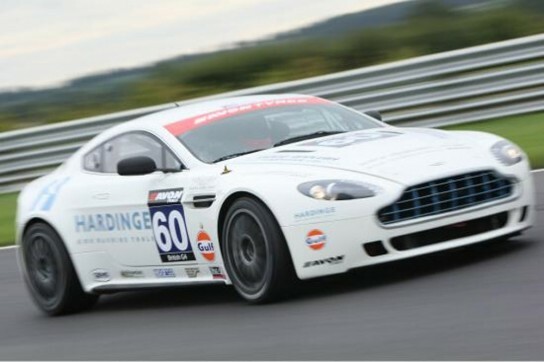 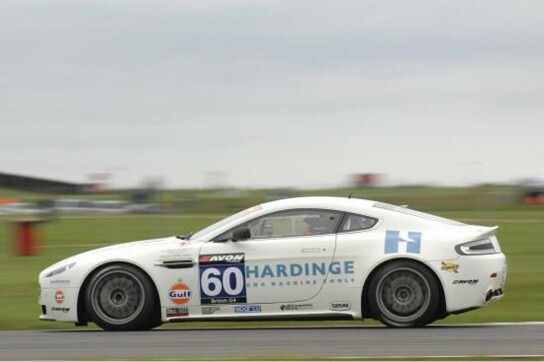 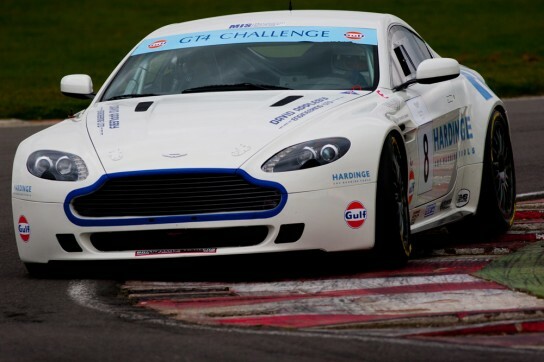 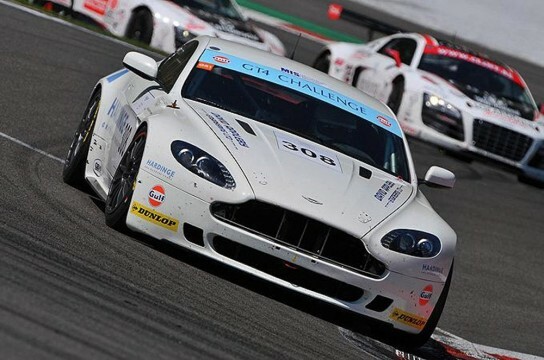 The Aston Martin GT4 Challenge of Great Britain enters its fourth season in 2013 and is owned by Aston Martin Racing (AMR). 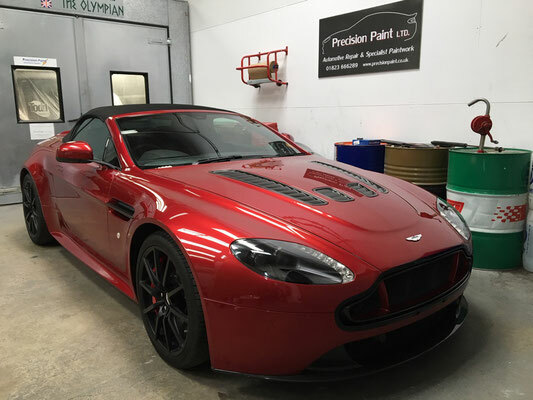 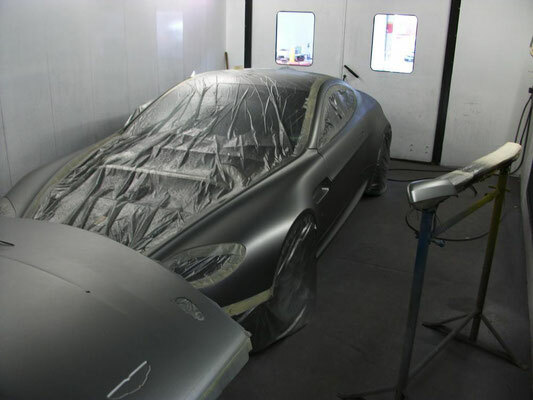 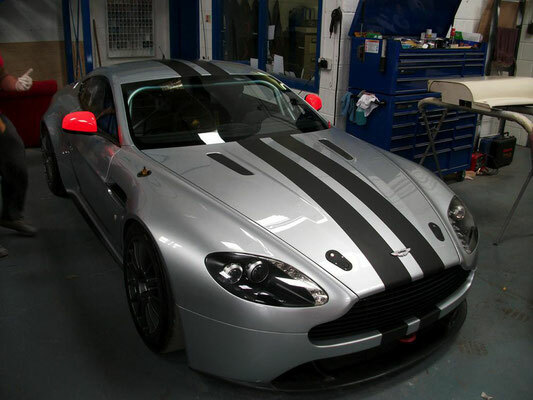 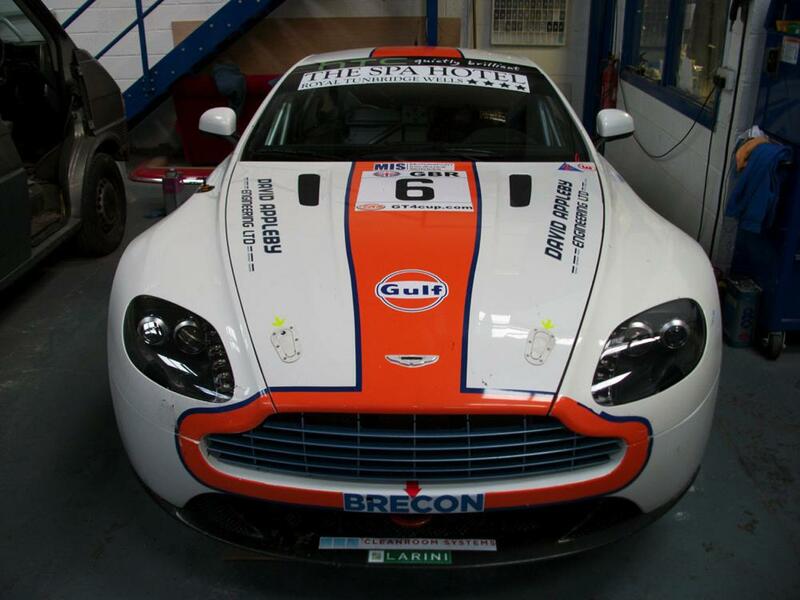 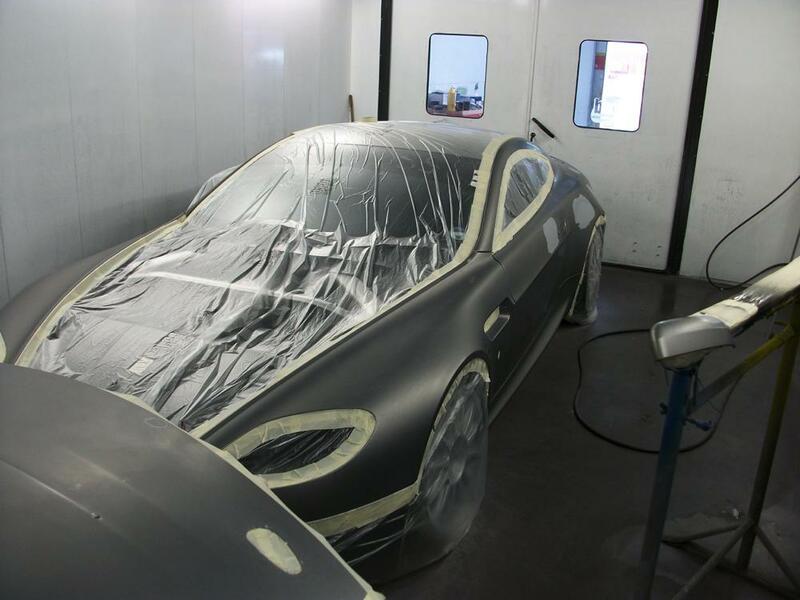 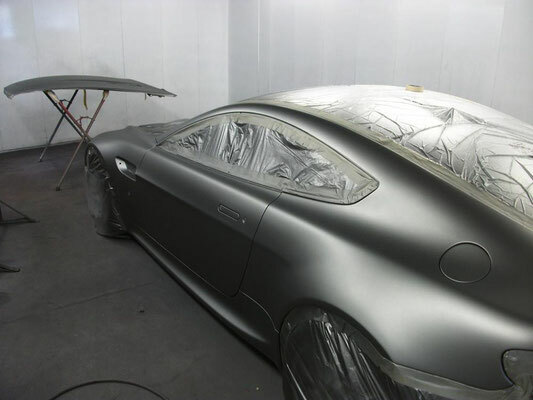 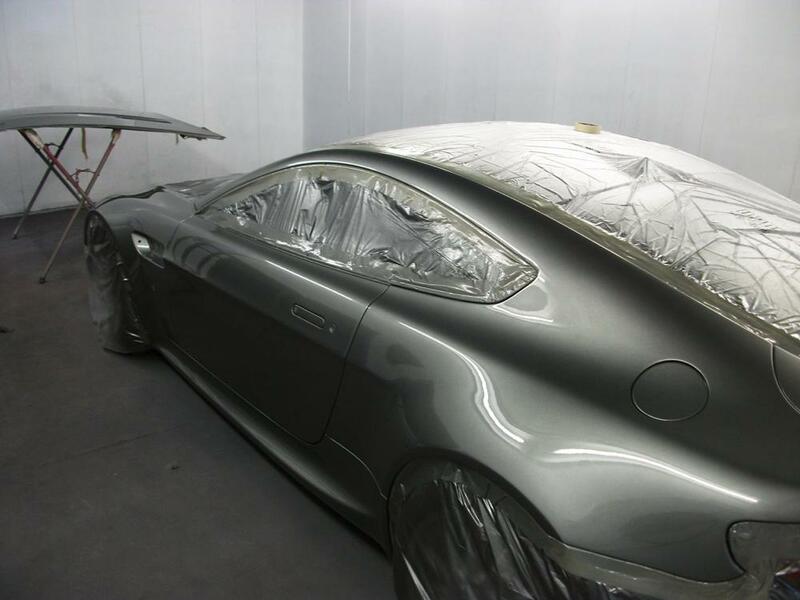 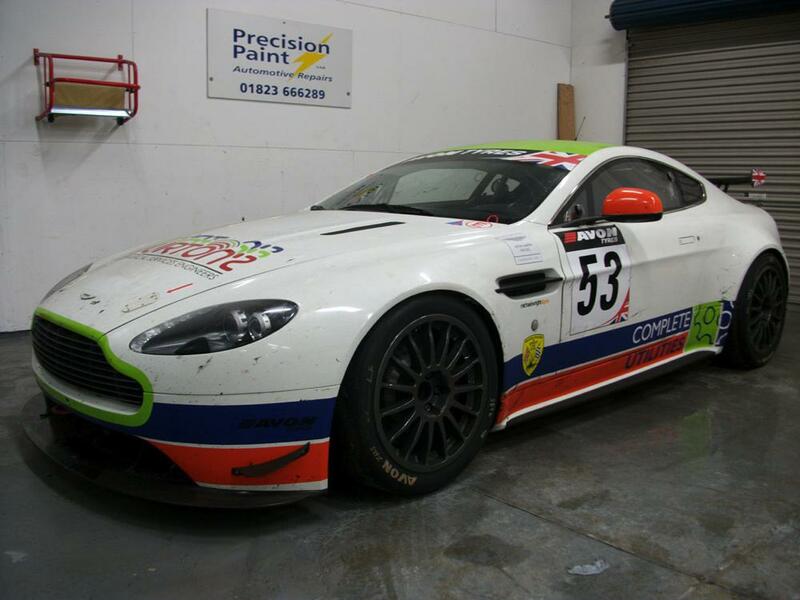 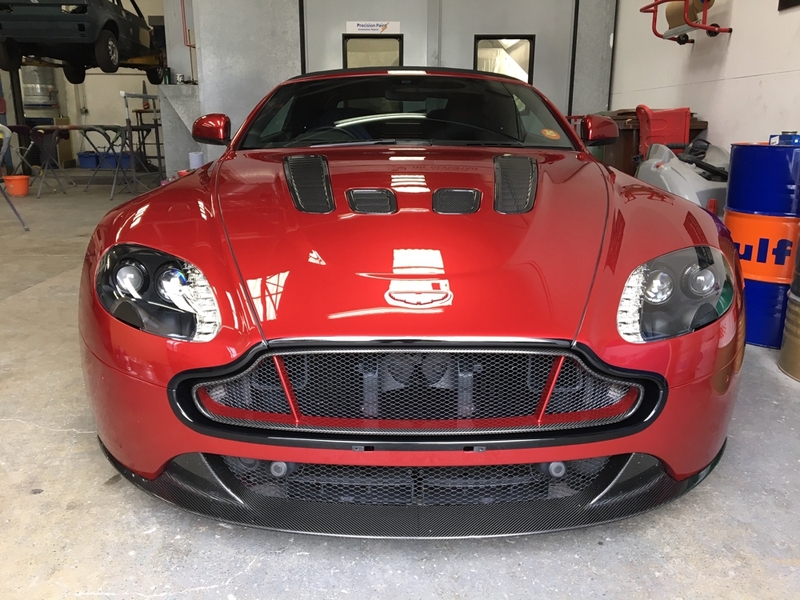 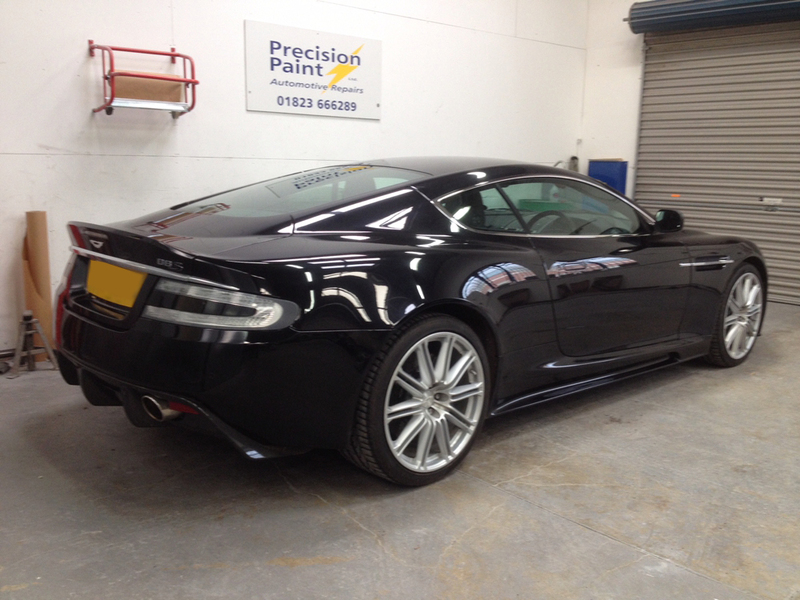 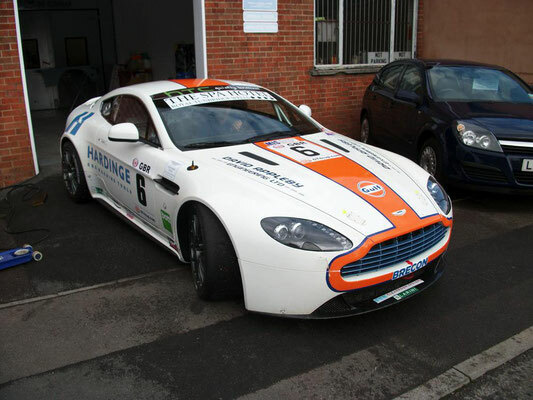 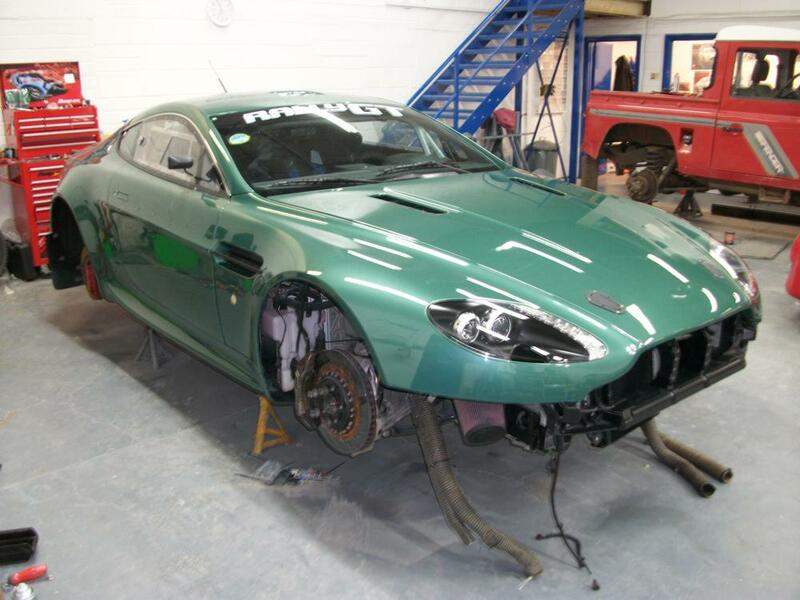 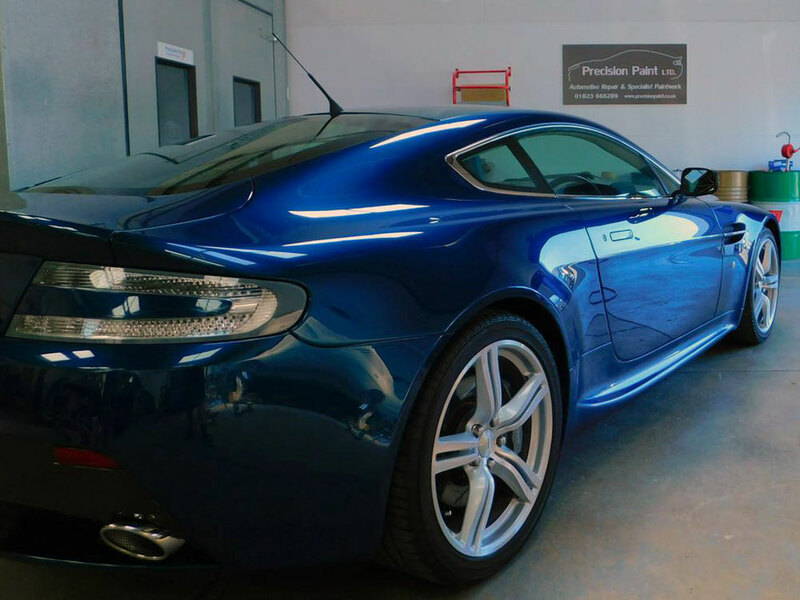 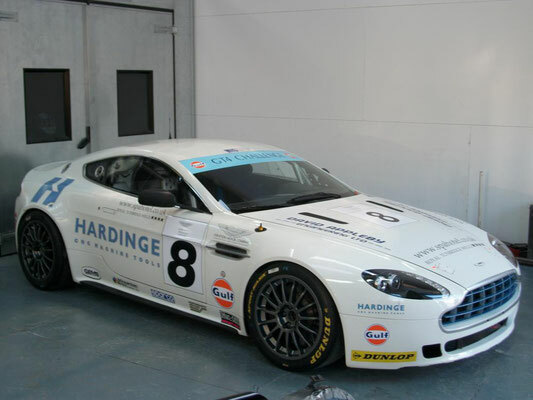 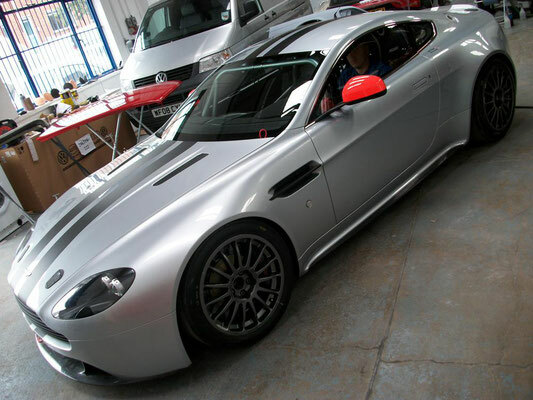 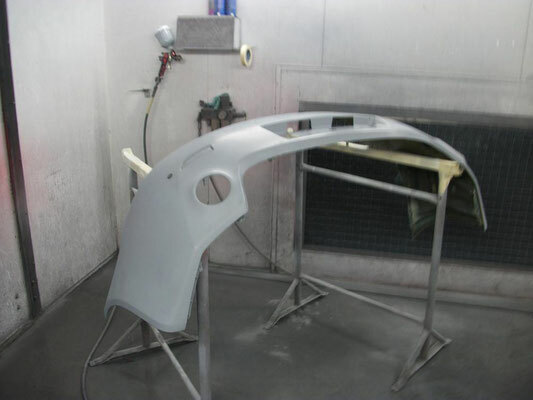 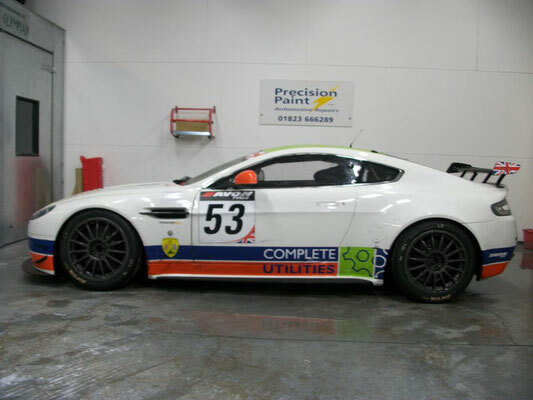 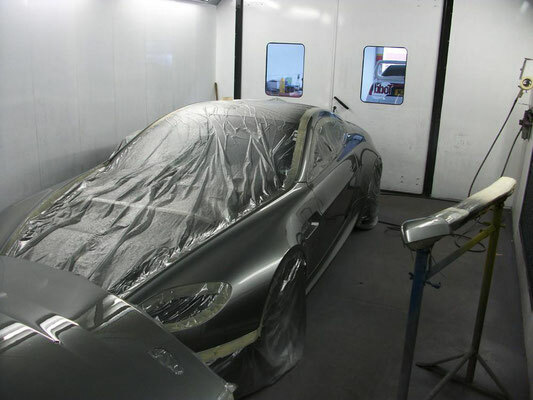 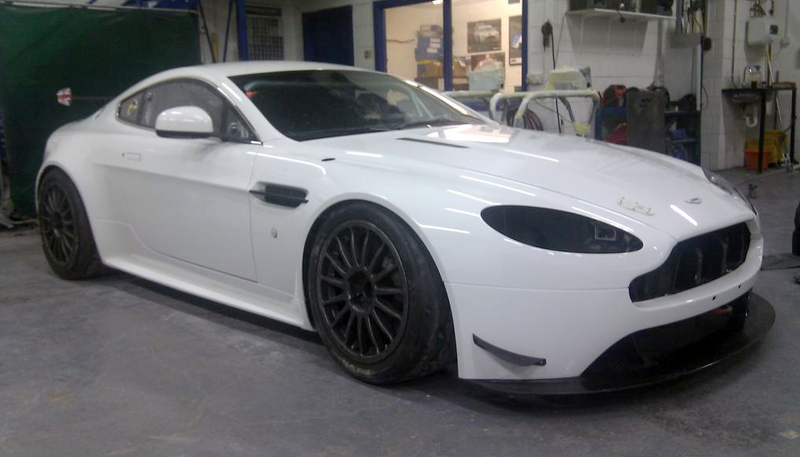 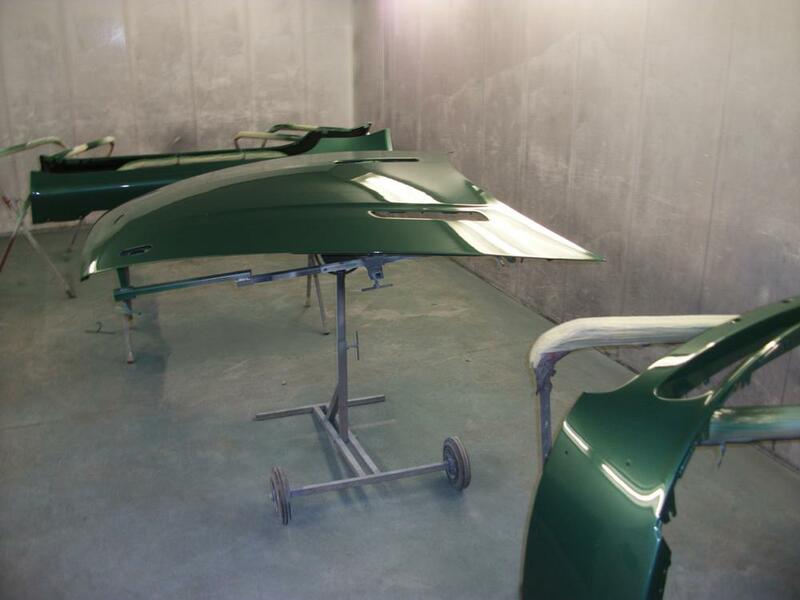 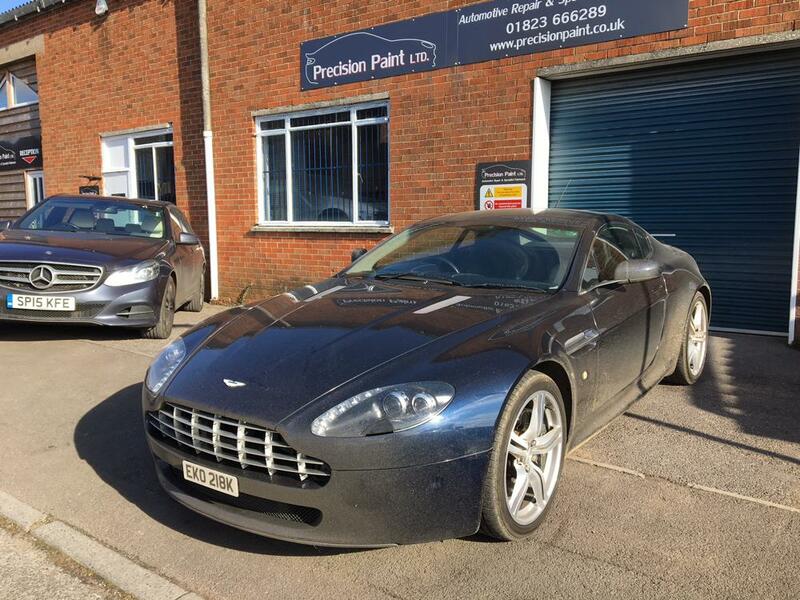 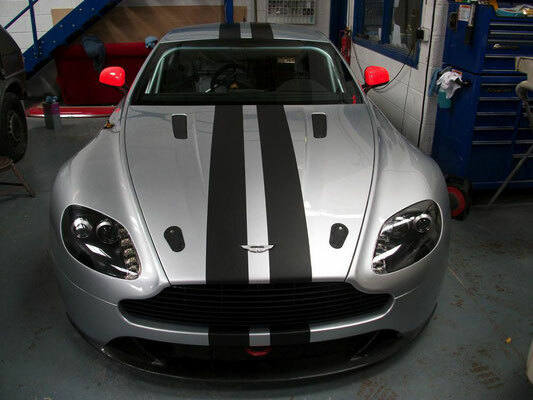 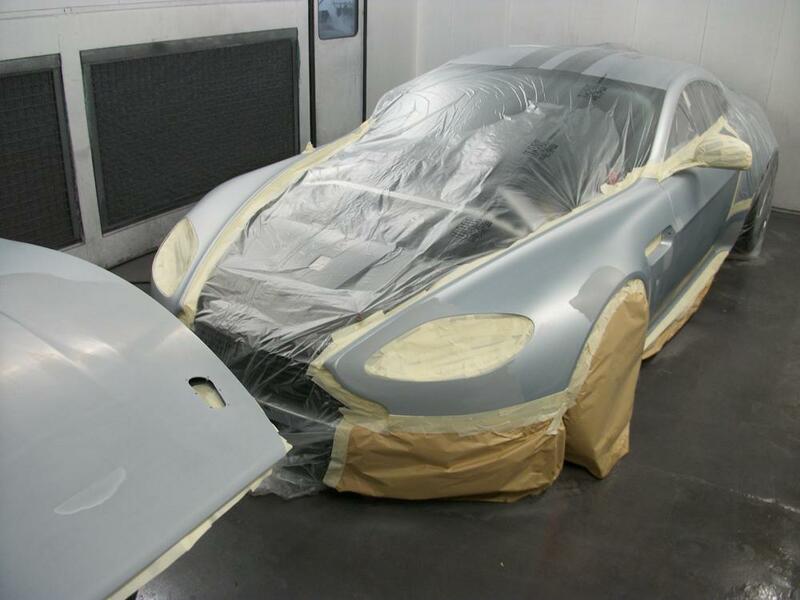 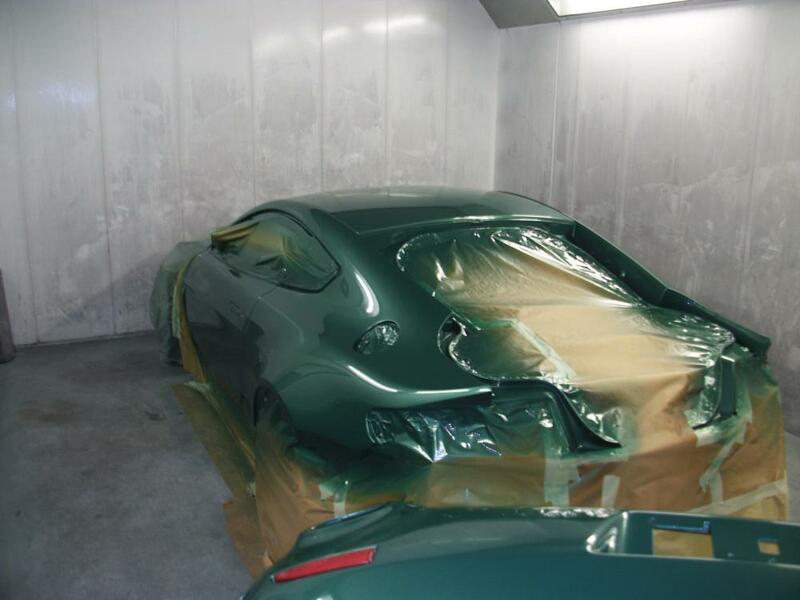 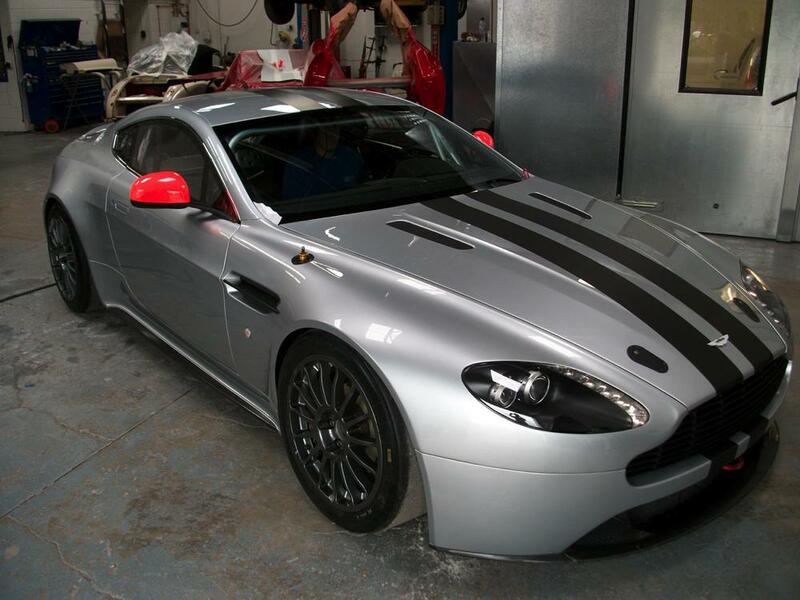 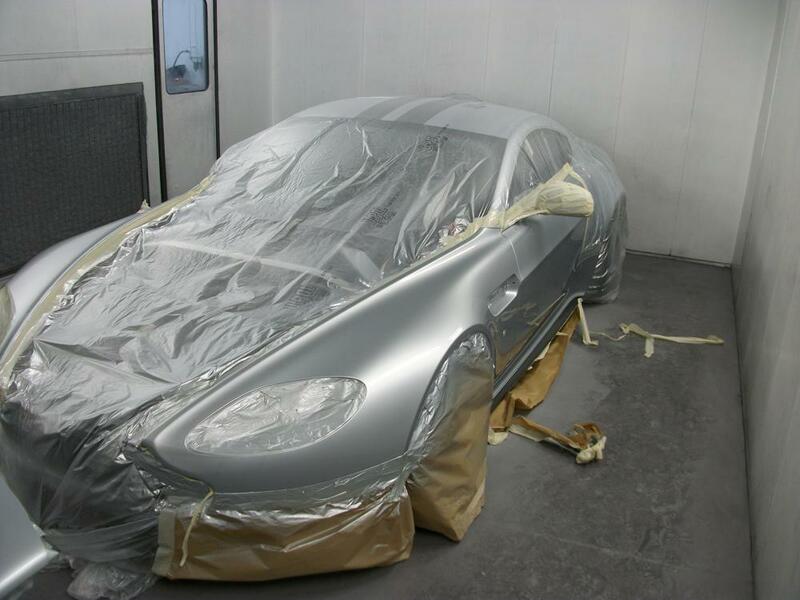 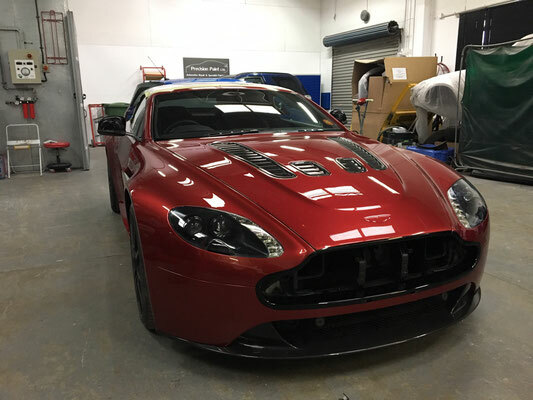 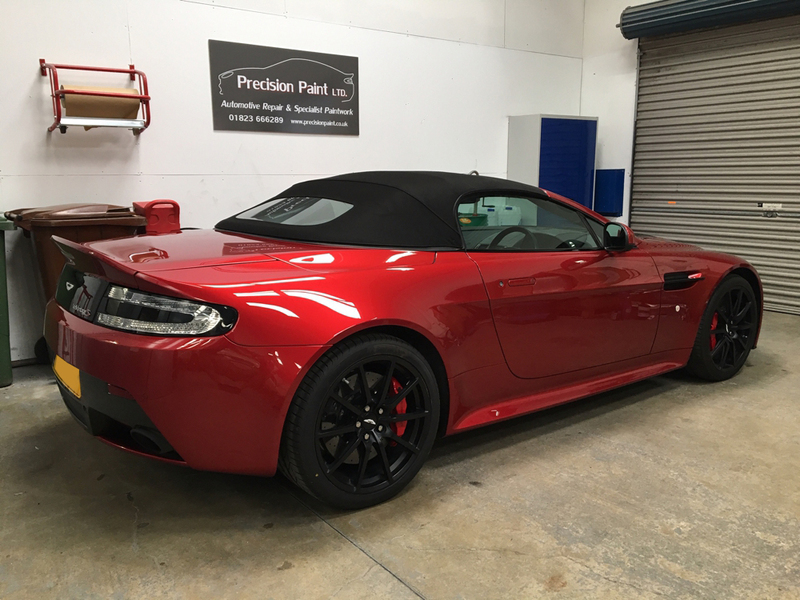 The team at Precision Paint have worked on numerous projects for AMR through David Appleby Engineering. 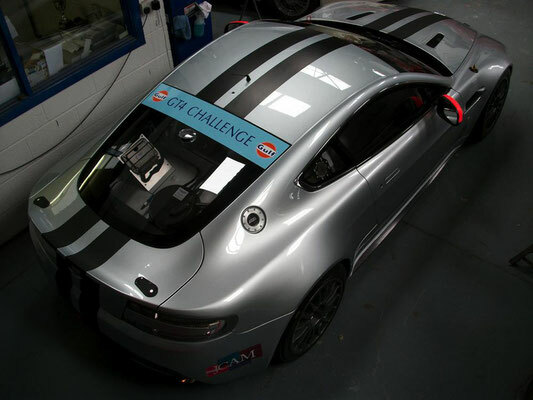 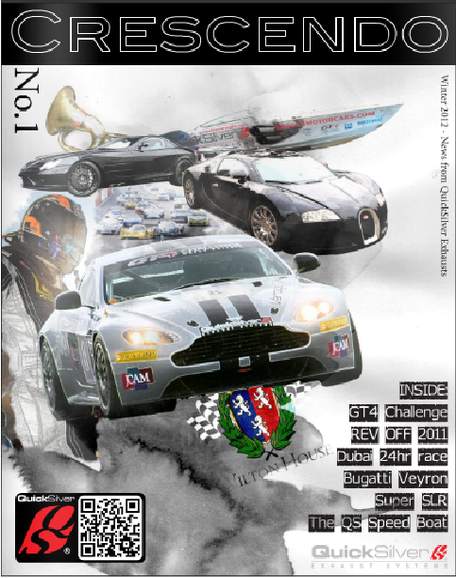 The GT4 Challenge car has done well in many challenges and many of the races are broadcast on television. So, at the end of each season Precision Paint strip back and refurbish the cars bodywork to bring it back to pristine condition, ready for racing and the sponsors worldwide exposure. 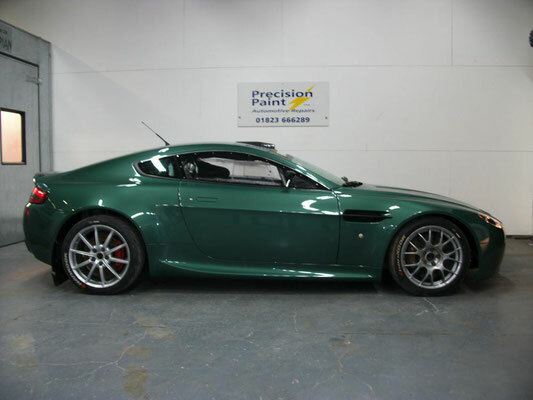 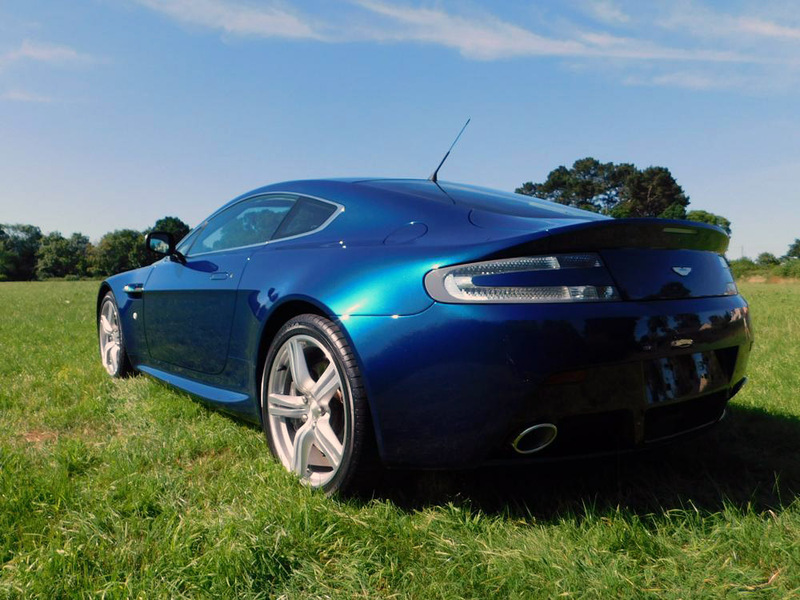 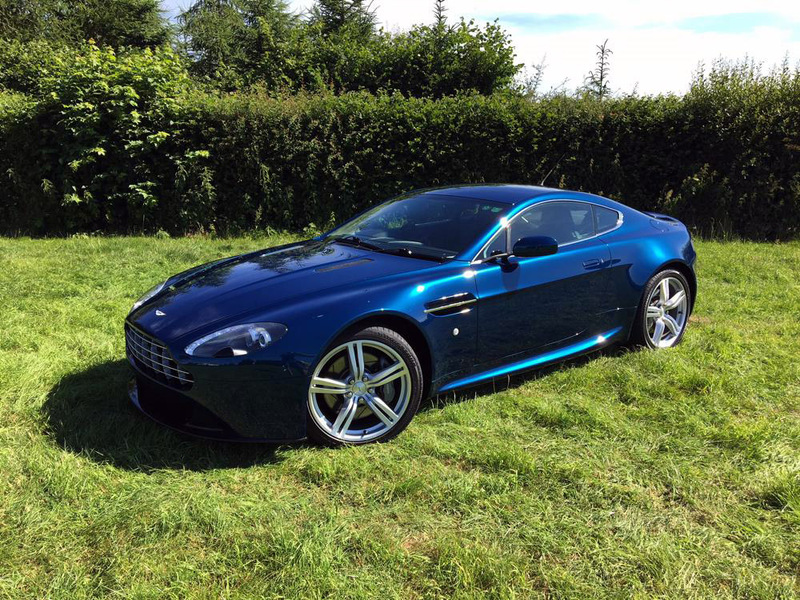 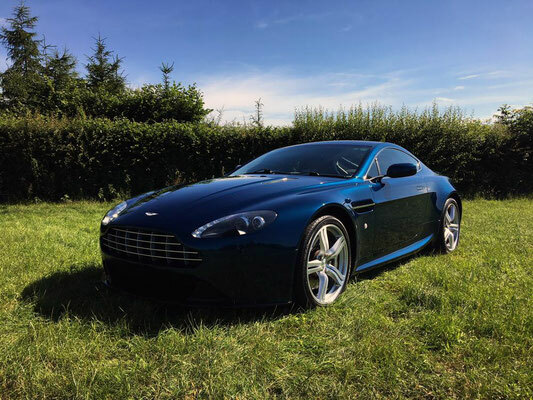 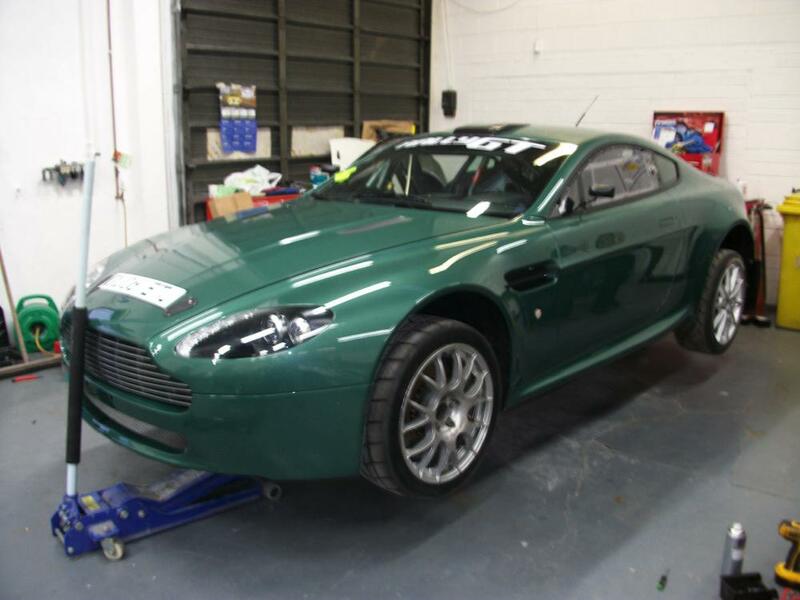 This Aston Martin Rally GT is based on the Aston Martin V8 Vantage, but has been extensively re-engineered to make it more flexible and responsive for the demands of rallying. The car has proved to be a favourite with both drivers and spectators and has been used to compete against some of the world’s best drivers at the Race of Champions and has raced at rally days at Castle Combe and Chatsworth to name a few. 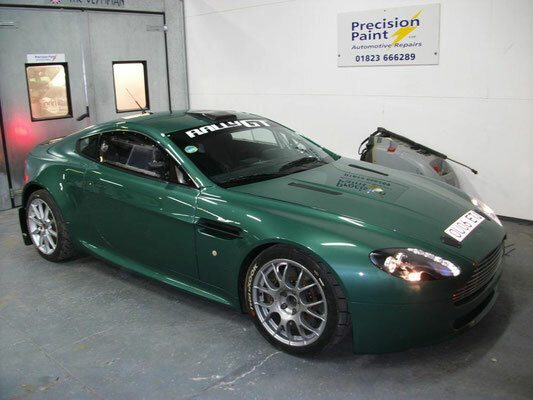 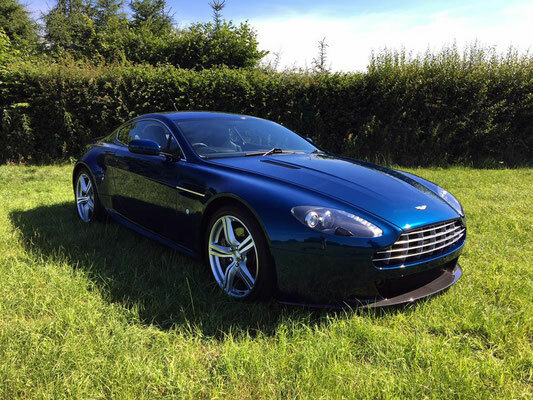 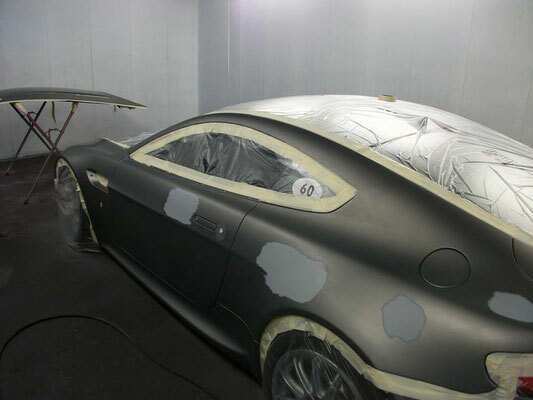 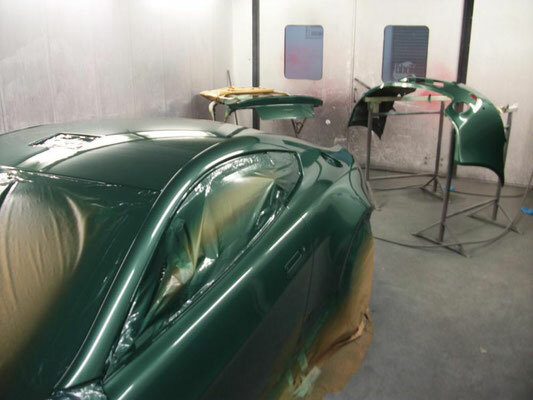 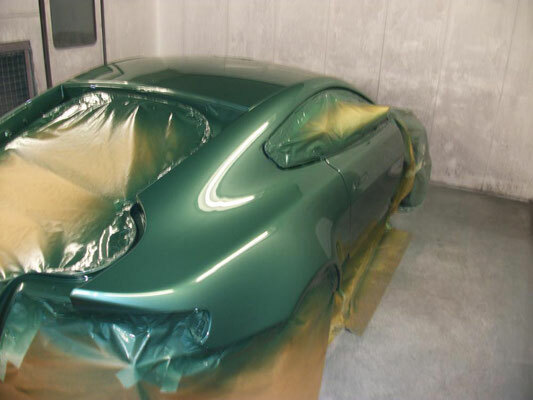 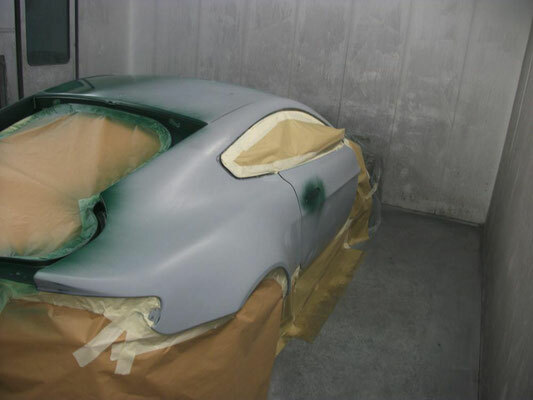 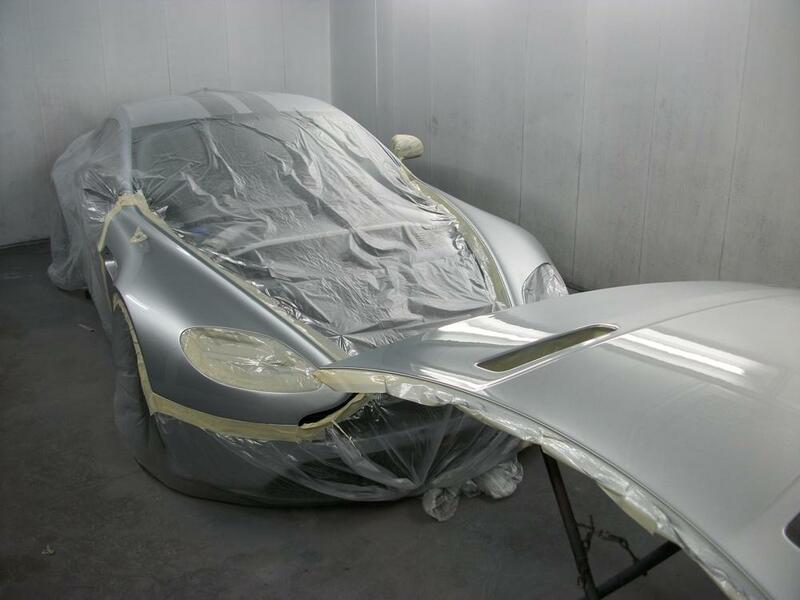 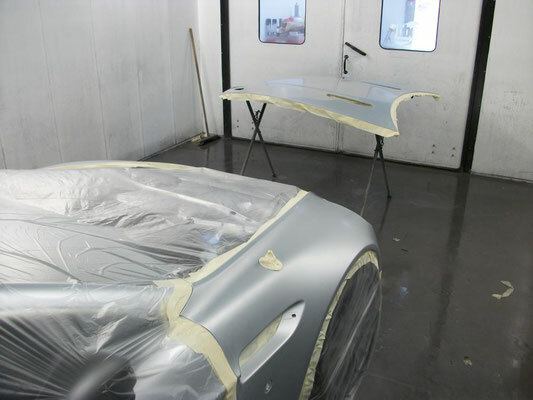 In 2011 the car was rebuilt and restored the car to its former glory by the team at Precision Paint who stripped the body work down and repaired the stone-chip marks and general damage that had been incurred over the year. 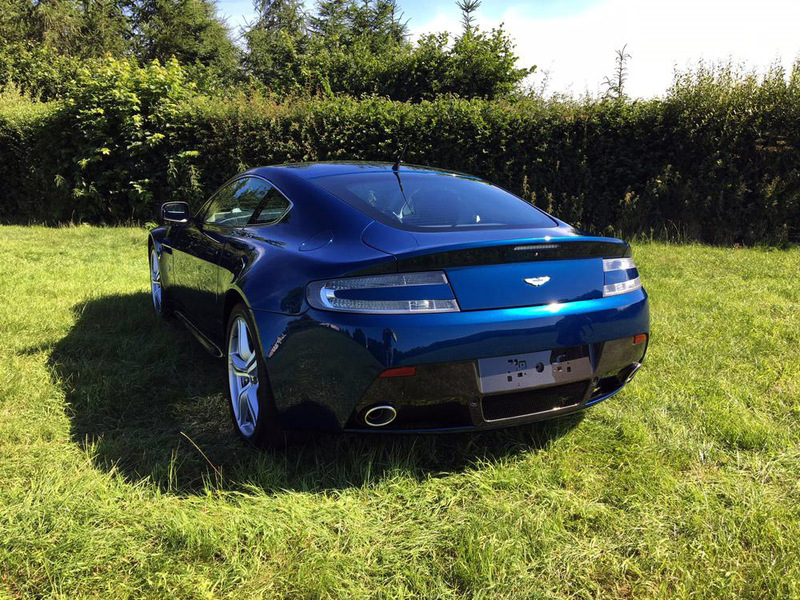 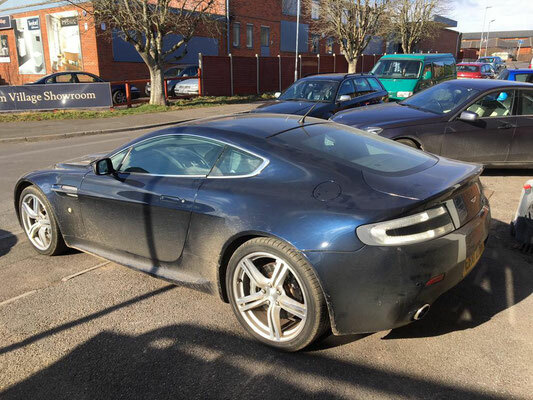 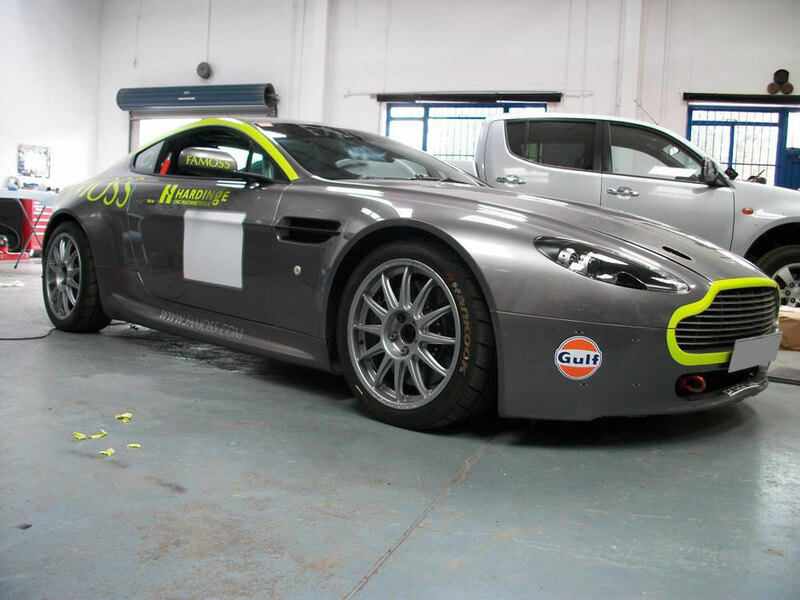 The colbolt grey Aston Martin Rally GT above is a high end, prestige racing car and keeps it’s value if its body work is kept in top condition. 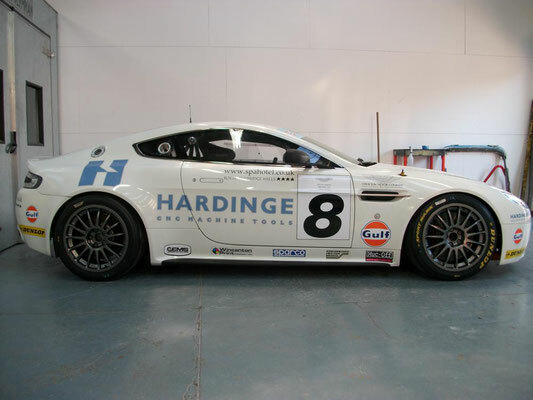 Sponsors are also keen to promote themselves on a pristine condition car. 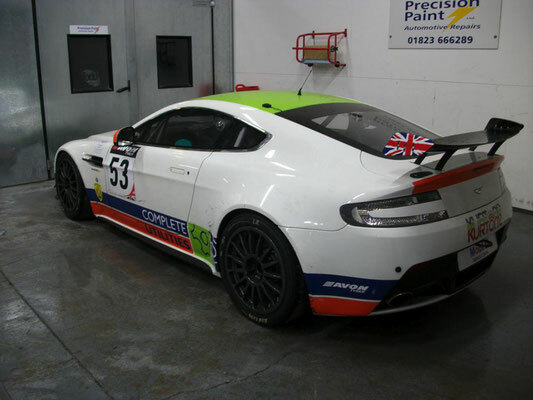 At the end of each racing year our team remove all the sign writing and bring the car back to an immaculate, polished finish, ready for the new season. 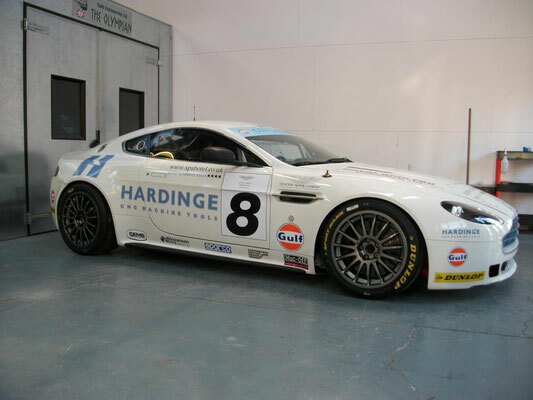 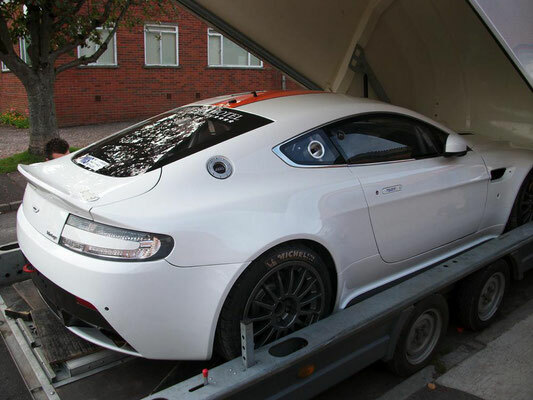 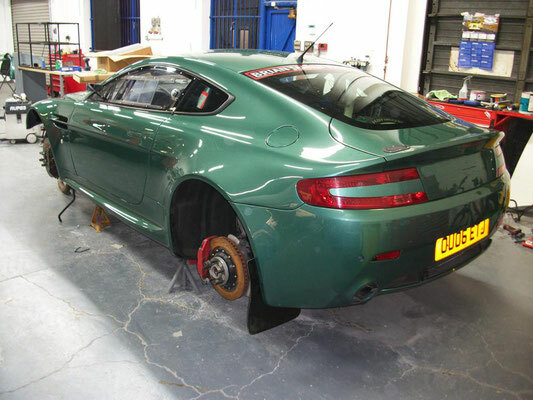 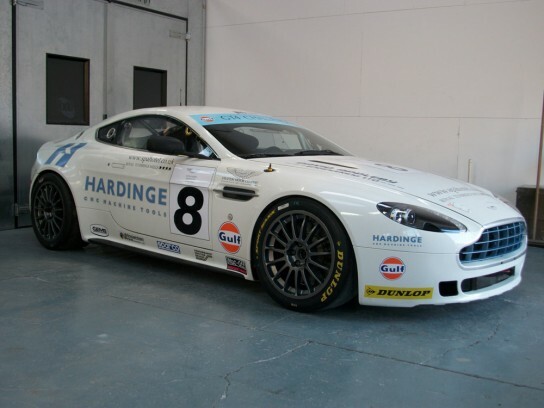 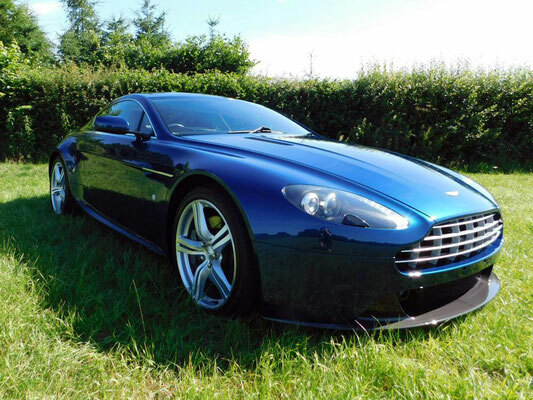 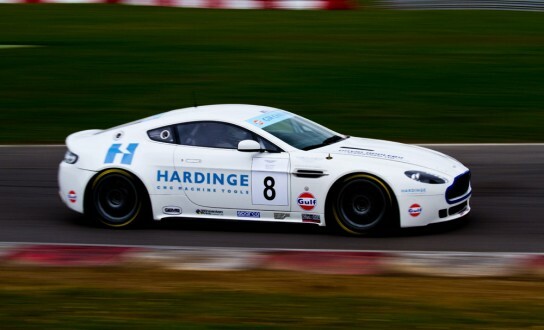 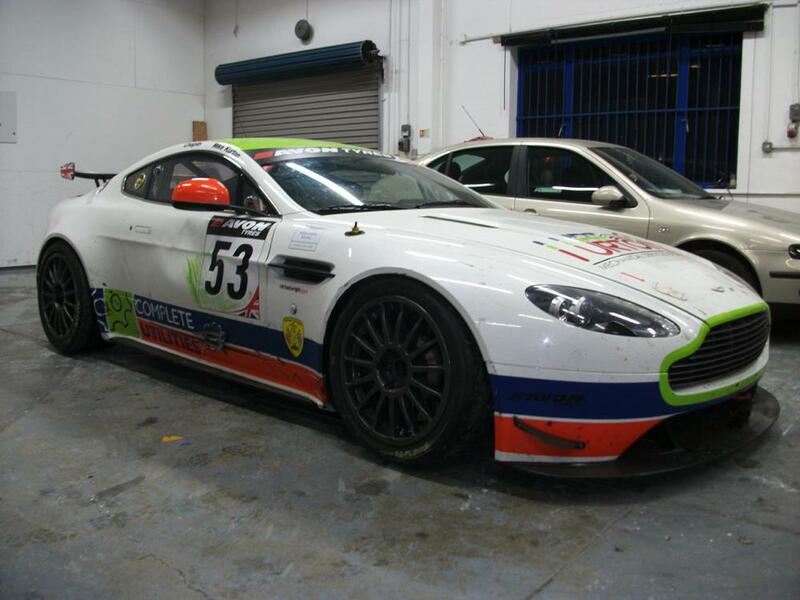 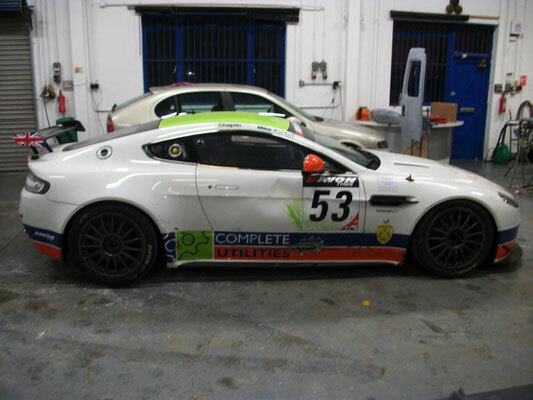 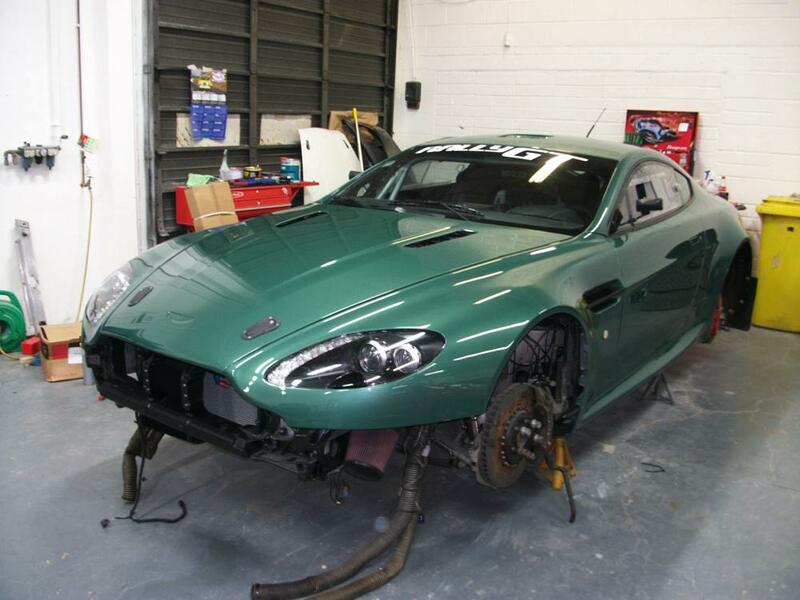 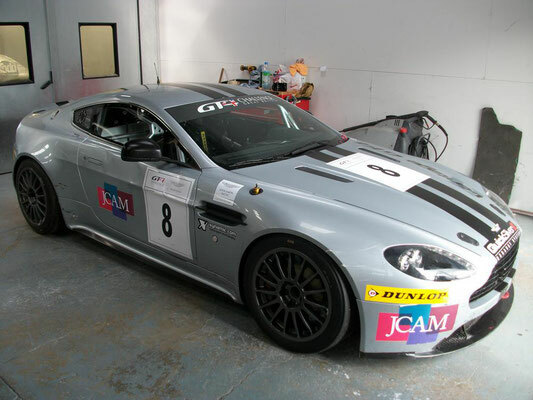 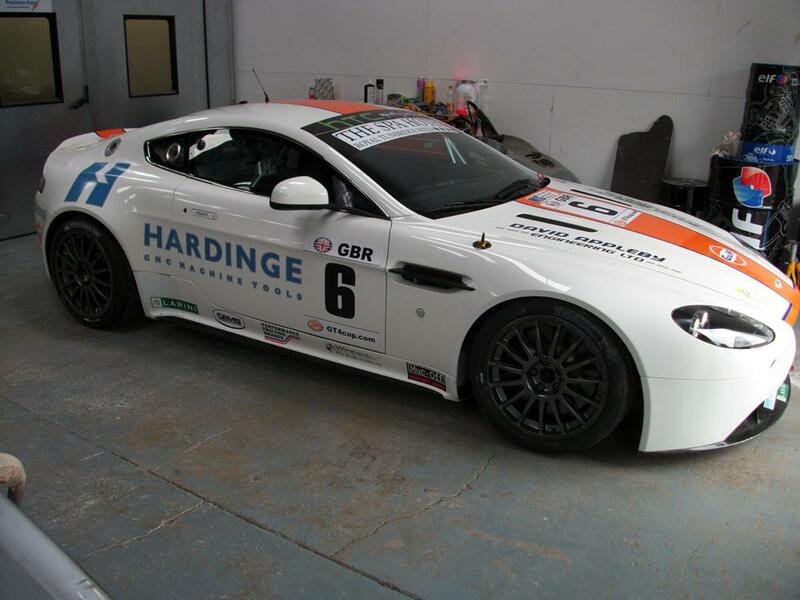 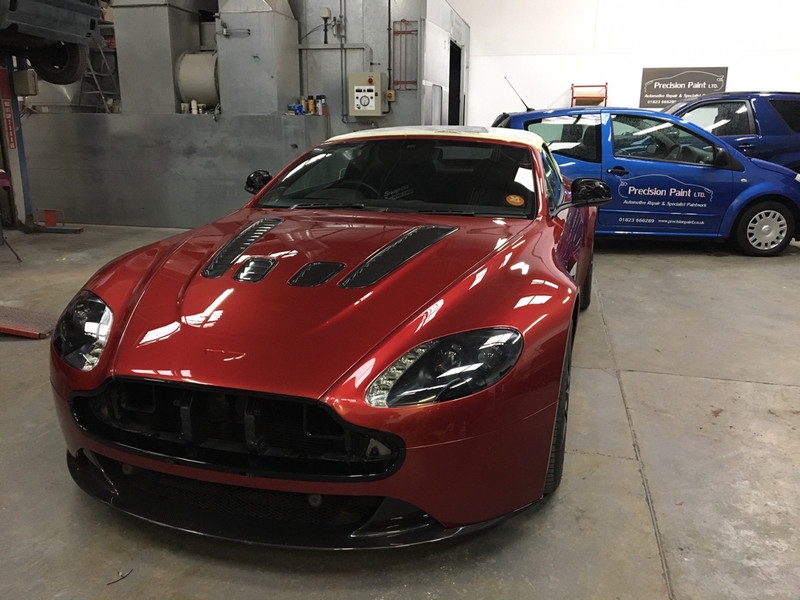 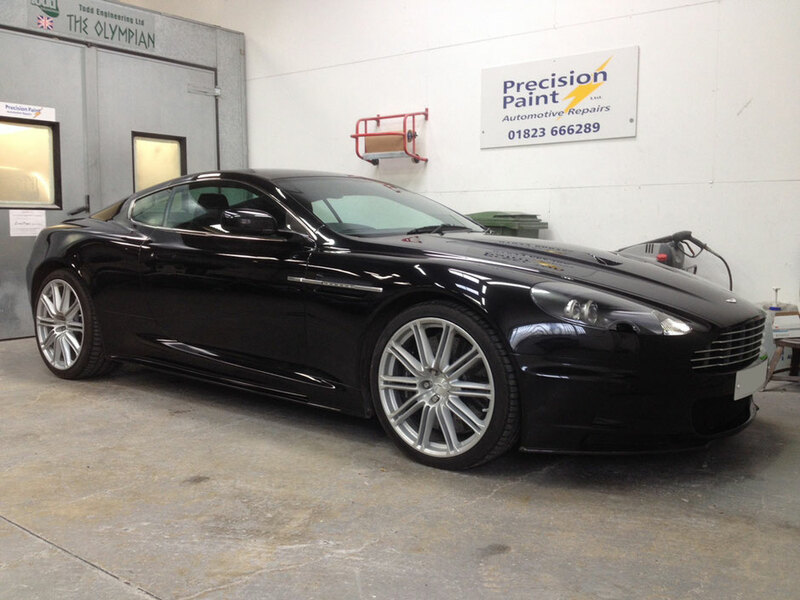 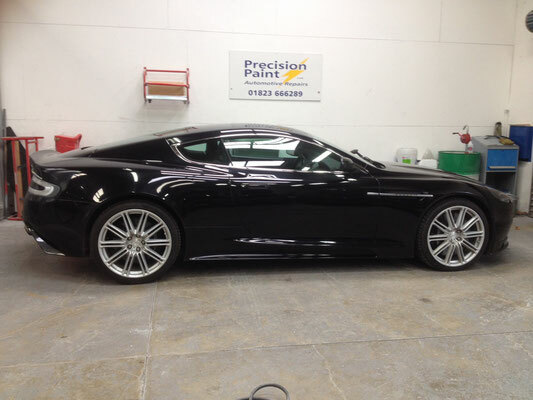 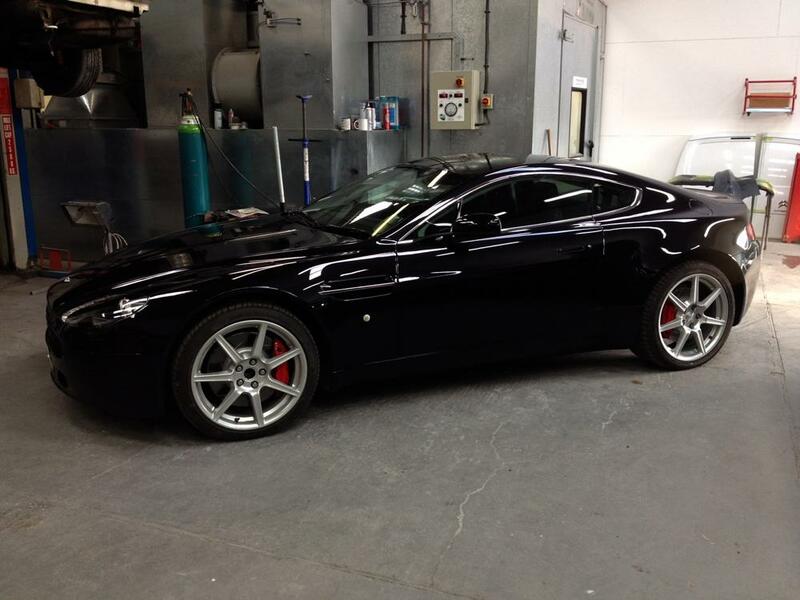 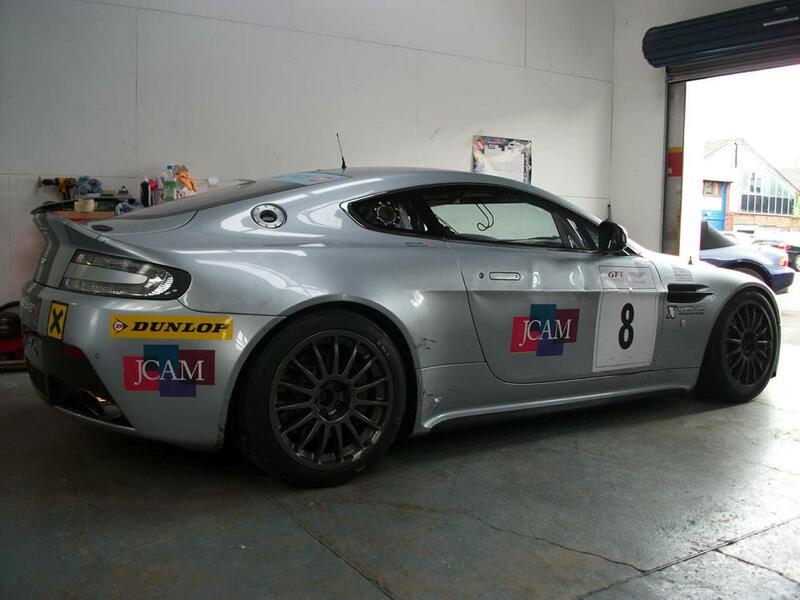 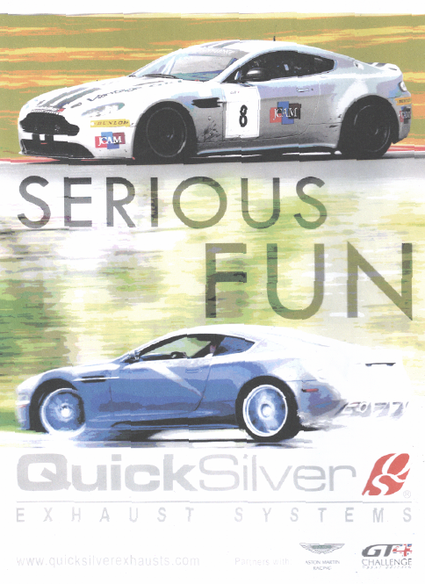 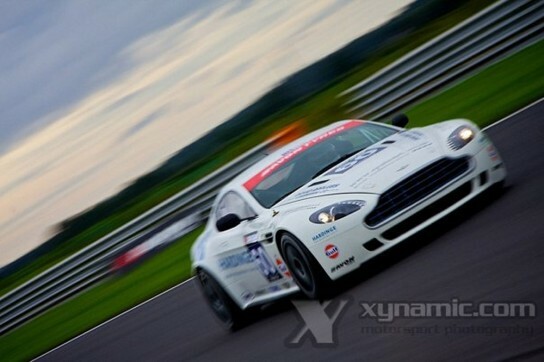 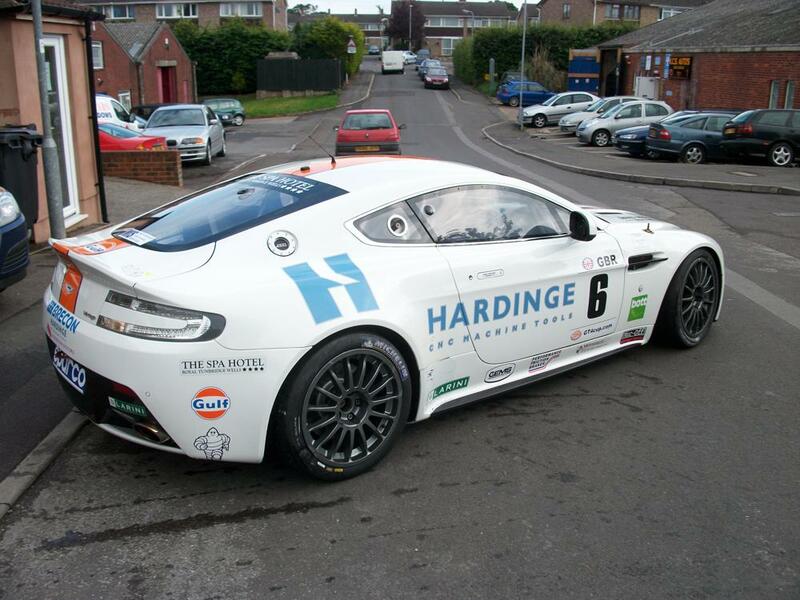 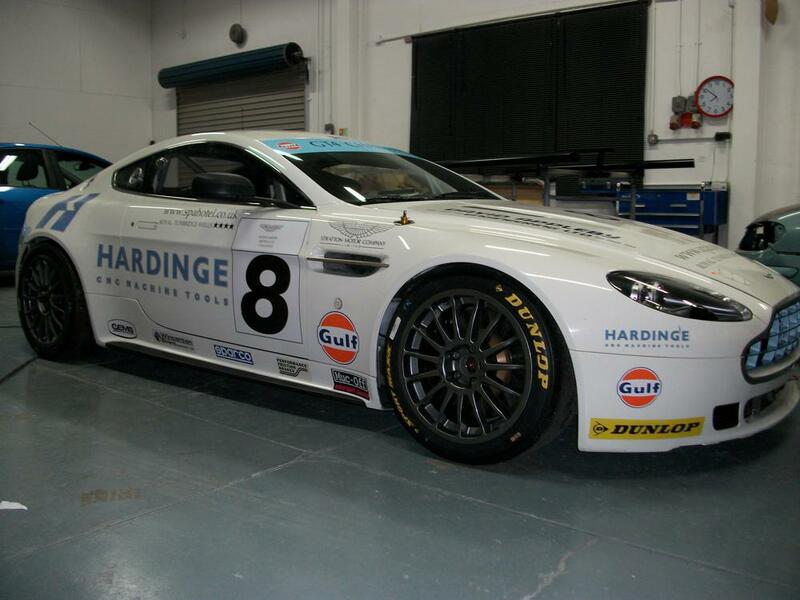 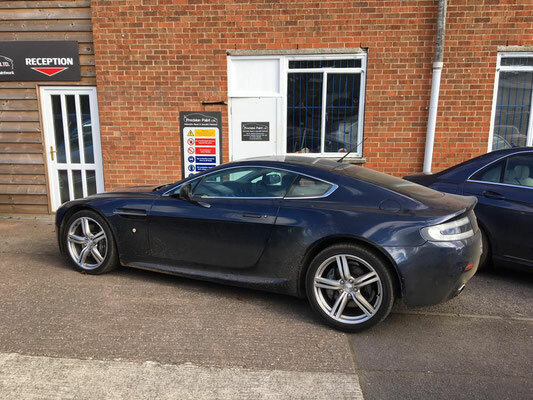 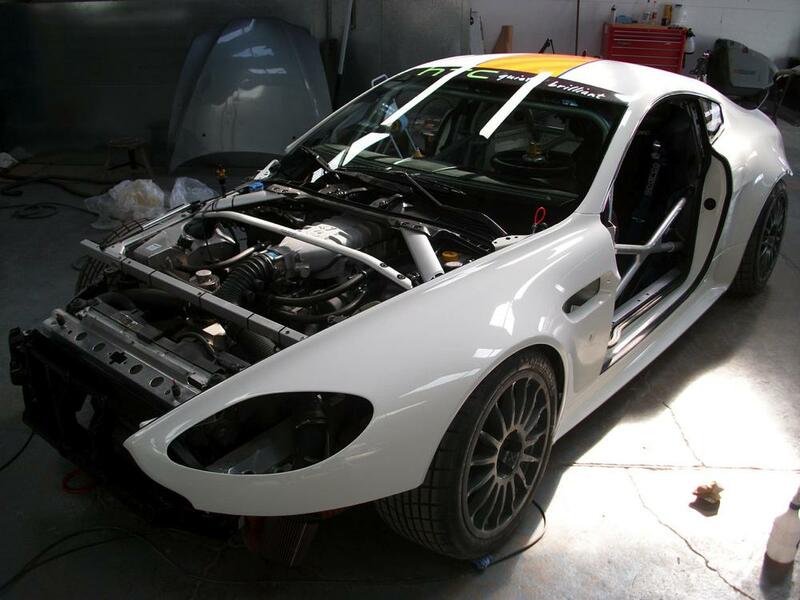 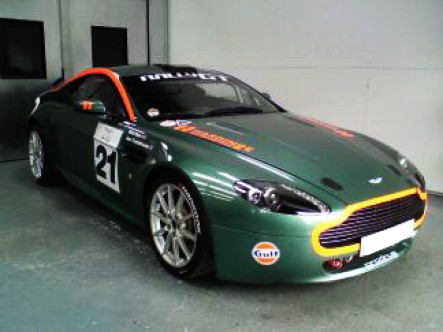 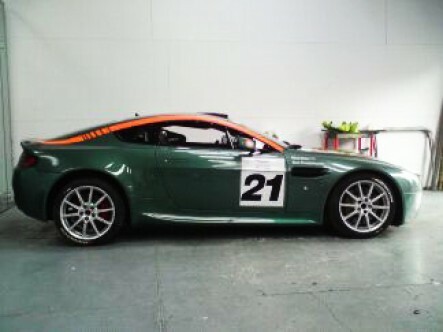 This Aston comes to our workshop after the racing season with all the sponsor decals and damage to the body work. 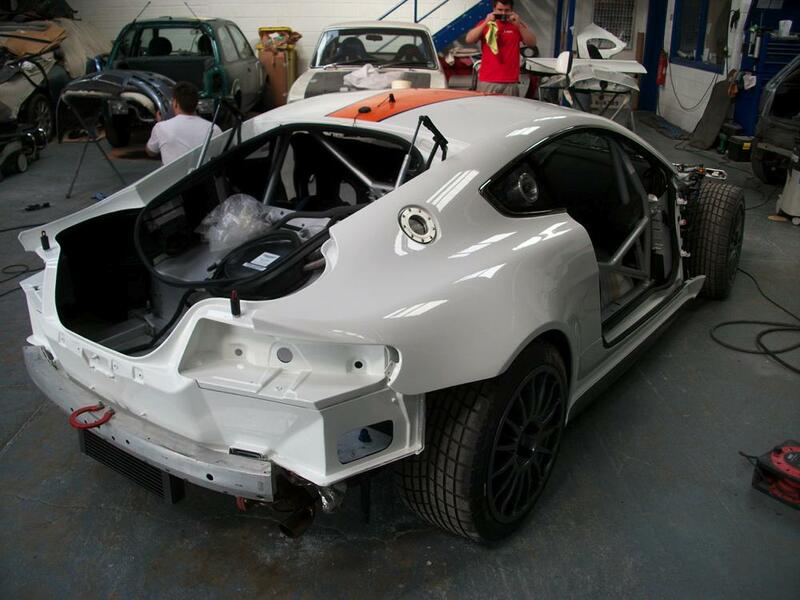 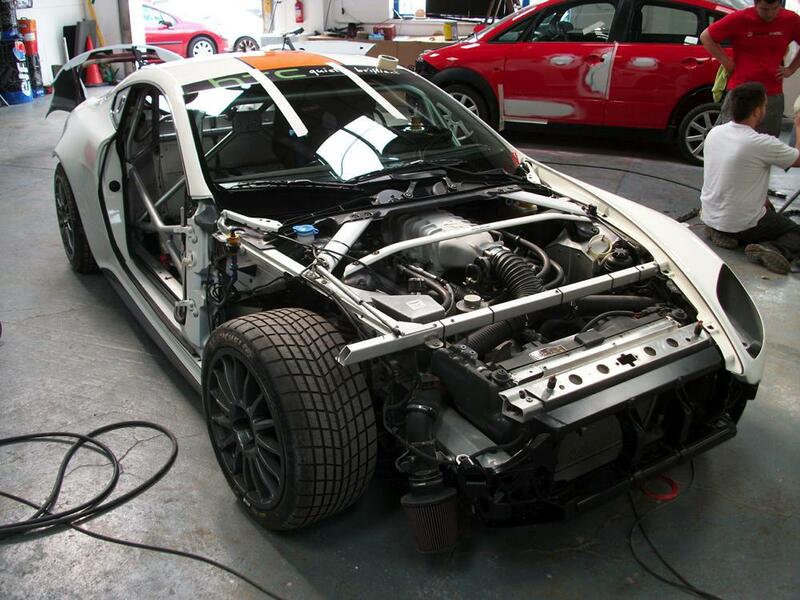 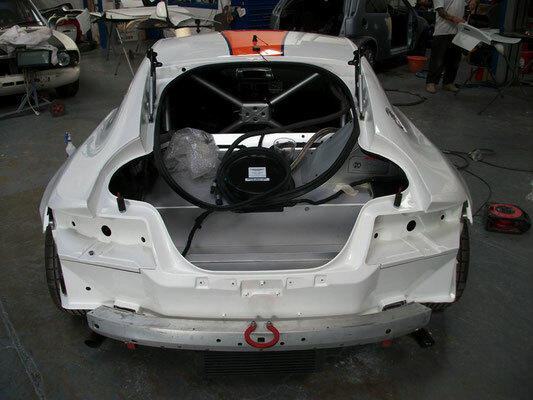 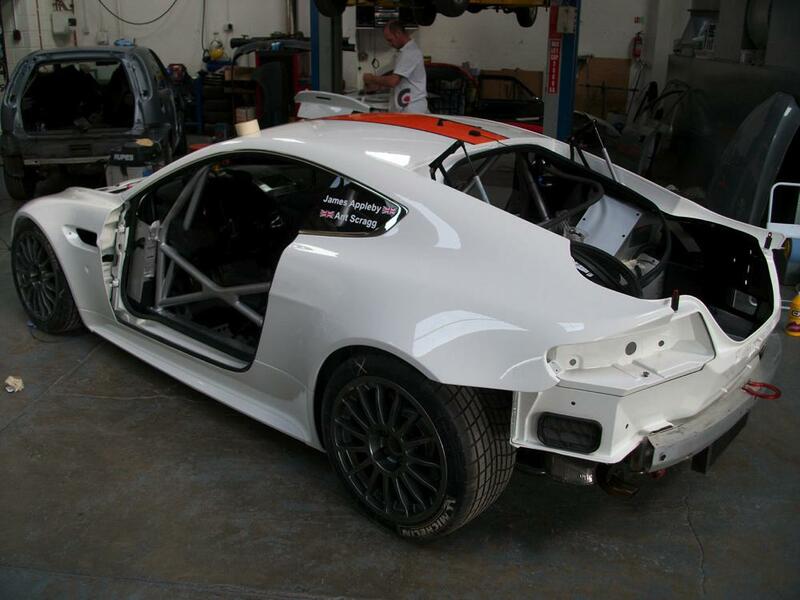 We then strip down the body work and re-spray so that the car is in perfect condition for the next racing season. 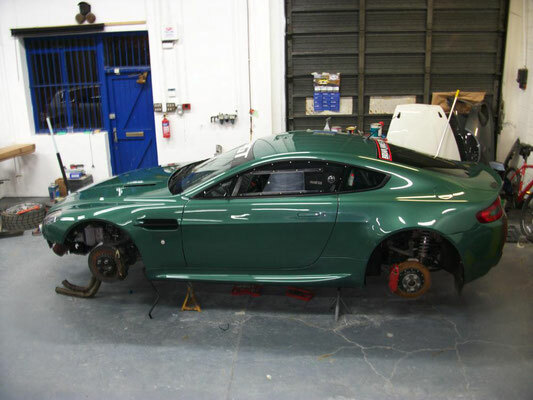 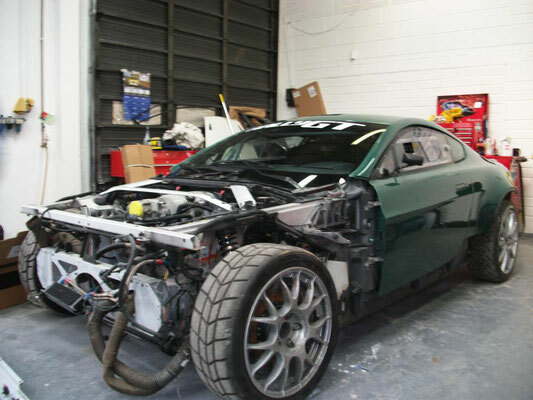 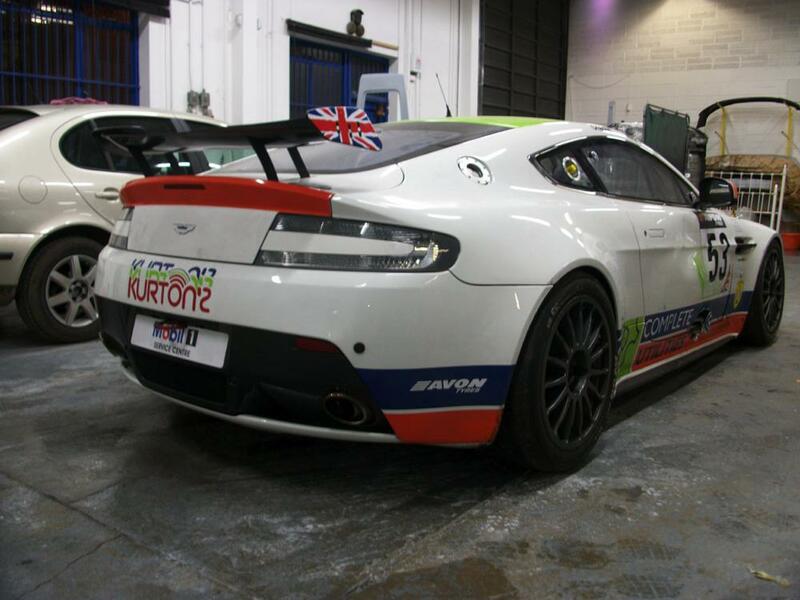 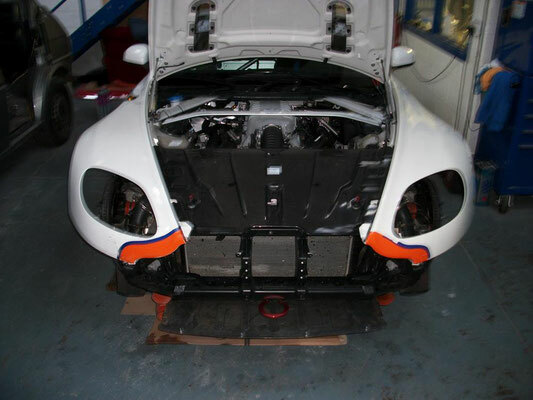 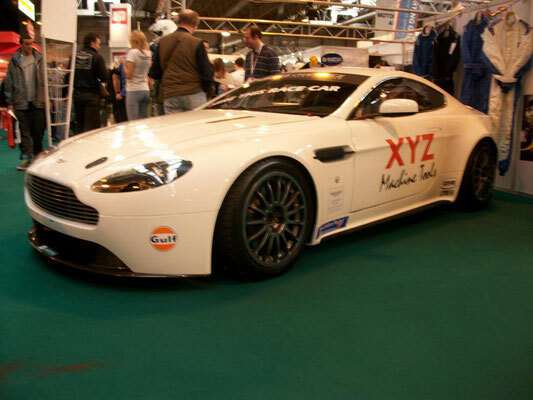 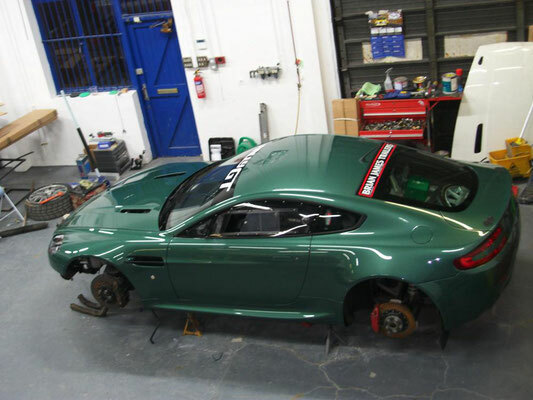 We took an end of season Aston Martin GTE race car and gave full revamp and rebuild over Christmas ready to be exhibited to the Birmingham NEC Autosport Show 2012. 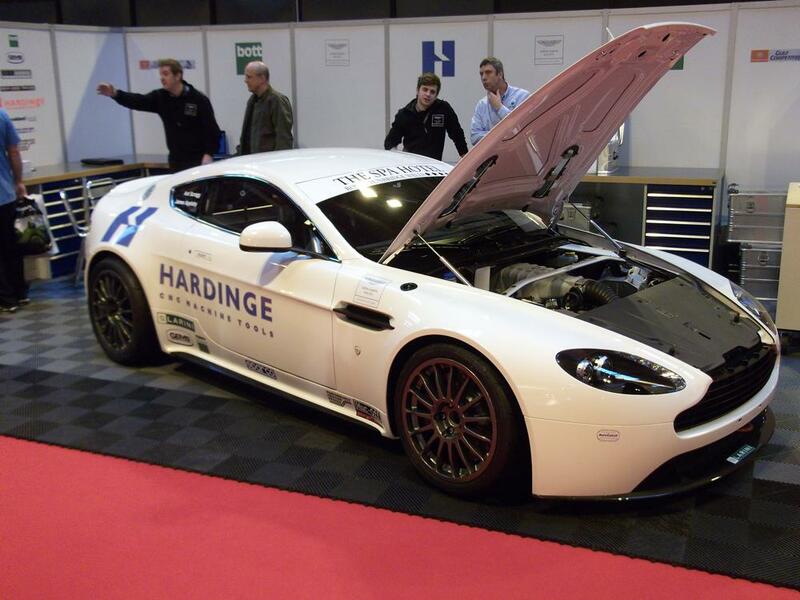 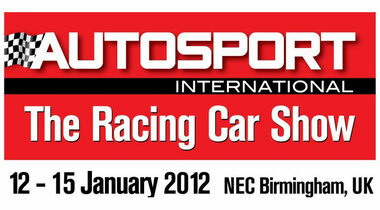 It was on the main generation AMR racing team stand. Below you can see the car before, with mud, scratches and damage.